Keane & Beane, P.C. is a premier law firm serving Westchester, Putnam, Rockland, Dutchess and Orange Counties in the Hudson Valley, as well as New York City. Since 1980, our team of outstanding attorneys has provided the highest quality legal advice to businesses, individuals, families, school districts, municipalities and non-profit organizations. Across the board, our clients benefit from the best of two worlds: the breadth and depth of professionals and practice areas usually found only at large law firms, plus the accessibility, personalized service, and loyalty associated with smaller ones. With offices in White Plains, NY, Fishkill, NY and New York City, we offer cost-effective representation with all the sophistication of a New York City firm. Why Choose Keane & Beane, P.C.? Attorney Depth and Breadth: Our professionals span 15 practice areas; many are recognized authorities in their field. Collaborative Culture: Sharing expertise and perspectives across practice areas, our attorneys offer a multi-dimensional point of view rarely found in regional law firms. 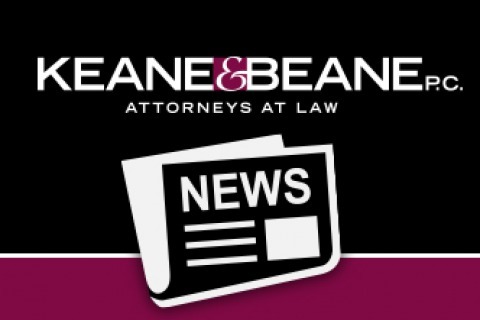 Results-Driven: Keane & Beane litigators win cases that set precedent; our transactional and real estate lawyers are known for their successful track records. Balanced Approach: The desire to “win” is always tempered by good judgment. If settling out of court is in a client’s best interest, we do not hesitate to advise restraint in moving forward with litigation. A Personalized Touch: From senior partners to associates and support staff, all our professionals are accessible, helpful and down-to-earth. Keane & Beane, P.C. was founded by Edward Beane and Thomas Keane in May 1980, with offices in White Plains and Rye NY. The firm was originally part of Keane & Butler, which was founded in 1969 with offices in New York City, White Plains, and Rye. Its founding members, Tom Keane and Tom Butler, were both Rye residents. In 1980, the Westchester offices headed by Tom Keane and Ed Beane decided to go out on their own. Since then, the four-attorney practice has grown to be one of the largest law firms in Westchester County. To better serve a growing client base, Keane & Beane opened its Fishkill, NY office in 2008 and its New York City office in 2017. From the outset, our driving philosophy has been to develop strong working relationships with clients while providing “small firm” personal attention at all times. With this focus, we keep our clients’ objectives foremost, and provide well-managed, cost effective and timely service. The average tenure of our attorneys is 18 years, providing unparalleled continuity for our clients.